It is not necessary to make a purchase to enter or win. One Response is limited during each three-day period. Online. 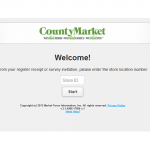 Visit County Market customer survey official website to take the survey. Telephone. Call toll free (866) 663-9585, and complete a survey. Mail. 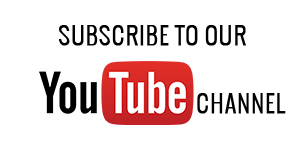 Hand print your name, complete address, zip code, daytime telephone number, including area code, on a 3” x 5” piece of paper and mail it in a #10 envelope to:“Niemann Foods $250 Monthly GROCERY SWEEPSTAKES – Free Entry”, c/o Retail Survey Group, P.O. Box 699,Plainview, NY 11803. Entry requests must be postmarked and received by December 31, 2013. PC/Notebook usability rating: 4/5. About 5 minutes to finish, 2 open questions, need receipt. Tablet usability rating: 4/5. No mobile page for Tablet. 2 open questions, need to enter personal information. Smartphone usability rating: 3/5. No mobile page for smartphones. You can still finish Country Market customer feedback survey via smartphone, it may take more than 3 minutes to finish. Enter the Max Card number from your receipt or the first 11 digits printed on your Max Card, if available. Niemann Foods (NFI) is a company headquartered in Quincy, Illinois that owns and operates over 100 supermarkets, convenience, pet and hardware stores mostly under the County Market, County Market Express, Cub Foods, ACE Hardware, Pet Supplies Plus, Pick-A-Dilly and Save-A-Lot banners in Illinois, Iowa, and Missouri. Niemann Foods ' Save-A-Lot stores offer a limited assortment of groceries at discount prices while Cub Foods and County Market are conventional grocery stores. The regional grocery store operator is growing and expanding market share in the Central Illinois and Missouri. The employee-owned, family-run company was founded in 1917 by brothers Ferd and Steve Niemann and is currently headed by Rich Niemann. Store 0515 seems to have trouble ringing up coupons. They often produce not clearly in the advertised section. We feel they take advantage of the college students by not showing prices clearly. They have an abundance of the small little liquor bottles at all the self check outs making it too convenient for minors to purchase. I love having Store #225 close to home for my shopping trips. I stopped in this morning for a box of breakfast tea and for as early as it was everyone was friendly. Always a pleasant trip to my local County Market. Excellent service when I was in store #244 on Sept 30th. I'm a long time customer of County Market 0462, Shelbyville, IL. My daughter has been an employee of this store for over 15 years. I have seen many, many changes in the store, personnel, items and attitudes. Believe me when I say, I would not return if I weren't happy with any of the aforementioned. My latest trip, Saturday, September 30, 2017, was the usual stocking up of essentials and utilizing the great coupons from the ad. I love seeing the final total and the percentage saved. Unfortunately, the new system doesn't do the math for me anymore and all I have is a "rewards statement". This means I cannot announce the savings, only the total to my husband. No more Ta-Dah moments?! Disappointing. Please give me back the percentages and total cash saved. The prices with coupons were great and the cashier that took care of my order was friendly....she greeted me and was friendly and helpful then Thanked me for shopping County Market.....I can only say good about this store and their staff. Thank you. Excellent customer service, prices and selection. I always find what I'm looking for. I love your store. Everyone is always friendly and helpful. Thank you!! Always enjoy shopping at My County Market,even some of the employees say hi to me by name. Love the meat dept and fresh produce. Early or late store is clean and neat and staff is friendly. Thanks for an always awesome shopping experience. Used to do all my shopping at County Market because you had the most variety of Friskies cat food and it was comparably priced to Wal Mark and Kroger. Went there last week and your small cans of cat food were .60 cents where WalMarts are .48 cents and Kroger is 50 cents. Still have to get my water at County Market as you are the only store to carry DeJaBlue water (the bottles do not freeze when in my refrigerator as all the others do) and you are the only store here to sell Brooks catsup (only kind my family will use). You are also the only store in Decatur to carry Kraft 2% Swiss cheese (used to get non-fat Swiss cheese at Kroger but they don't even have the low fat anymore). Like your store and usually the prices are very low, you have lots of specials that cannot be found in any other store for your prices. What's up with the cat food? your prices are to high - cashier lukewarm friendly - back to Walmart! I am a 75 year old woman. I purchased a couple of items yesterday in store #83 One was a bottle of wine. I realize the cashier had to have some one else scan it as she was not 21. The lady in front of me who was close to my age also had hers scanned by another employee. When my turn came the man who scanned mine made a point of asking my birthday right down to the year Noe asked the lady in front of me.He could have asked for my ID . He was rude as far as I am concerned. The fact that the older woman in front of me was not asked is a concern. Organic avocados were 2 4 $3.00.Cashier wrung up @ $4.00 .Told her they were 2 4 $3.00,waited 5 min. 4 price check,told me I was wrong(wayne)I went back to avocado section wayne was putting them back,I said ' THERE'S THE SIGN WAYNE!! 2 for 3 dollars, he says "what did they charge you?DUH,you were up there wayne,4 bucks,oh sorry,ya still want them?NO, next time. Awhile back they had porterhouse steak listed 4 5.99 a lb., it should have been 7.99,told cashier,not sure she even told anybody.hey,that store consistently has the wrong price on food when wrung up also,has definitely went down hill lately.Just being completely honest here. Store #457...Associates are always very nice, respectful and helpful! We moved from Saint Joseph Il to Lake Mattoon, I was pleased to know that County Market in Mattoon carries the News Gazette news paper from Champaign, IL. The employees in that location were helpful and polite in helping us with direction in finding the products we needed, we will continue shopping here in the future. I have been two times in the store in Champaign and both of them I have found helpful and polite employees and very friendly people. Store #515 is a nice store and employers are very helpful. The self check-out is a little bit uncomfortable. Store #026 is a very nice store and people are friendly. Store 239 Please fill the craters in your parking lot. It would be nice to have a bigger selection and not have empty spaces where products were for several days. The employees were helpful and courteous. I will be sure to return to store #399. The employees are always polite. It just a great place to shop. customers the time to finish what they are doing while checking out. Great service & selection. Love the penny pincher program. had wild boar since I was about 20 years old, in the Army in Germany, when we were invited to go boar hunting at a wealthy businessman's estate. I still say I shot the animal; another sergeant said he did, the other guys all vowed the guide shot it. No matter, it was great eating. If this is as good as I remember I will get the wild boar bacon, and maybe the Elk. Always enjoy going to Rachel's line at checkout. Sincerely friendly and helpful. This Trip I had to pickup my Tea ,Gourmet Cookies and Everything was Awesome as Always. Store #409 is well set up and kept clean. Check out is efficient and friendly. The only problem I saw was frost on some of the frozen food. I don't know about others, but since this might signal a poorly working freezer unit I do not buy items with frost on the outside of the boxes. store was clean, produce looked fresh, plenty of choices on meats, friendly check out service. I find the store clean and the staff helpful. Every thing was easy to find,and the people working there were very nice too.